I had a great time last night. 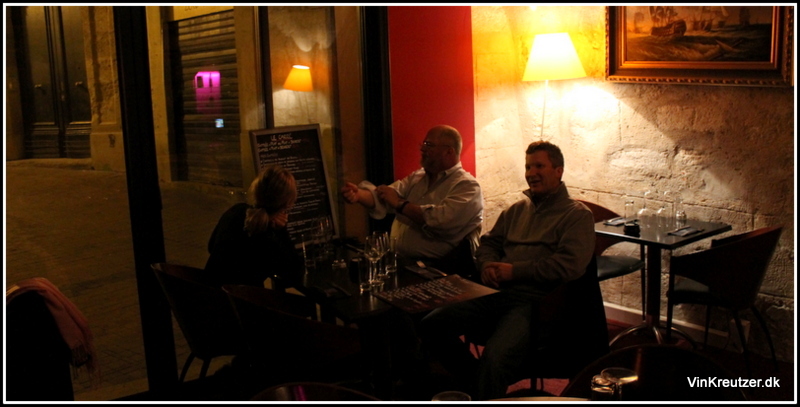 After a long day at Millesime Bio fair here in Montpellier, I hooked up with a nice group of selected American importers. The four of us went for a walk in the old city, that is recommendable. As the night came crawling in on us, we decided to have dinner in one of the local restaurants. 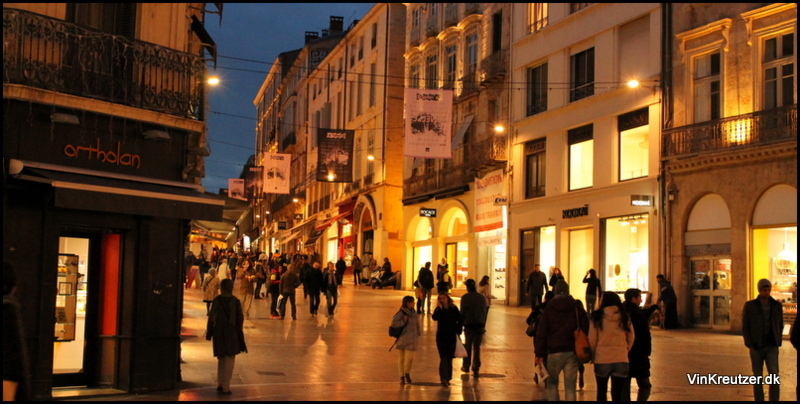 After looking at some of the classic tourist-traps, we found this nice looking place on a small square. I can suggest you try the same place. The nice little square, impossible to find, but if you go up the street, turn left, turn right, walk straight ahead for some time, turn left and then BOOM; here it is. 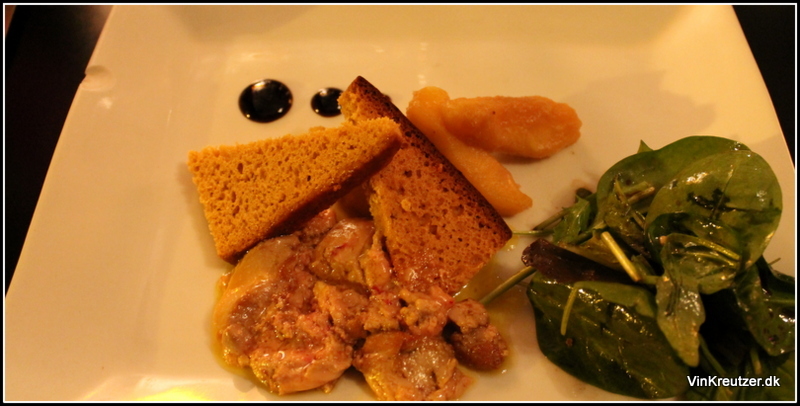 Foie Gras, with some apple, toast and salad. Looked bad, but the taste was perfect. 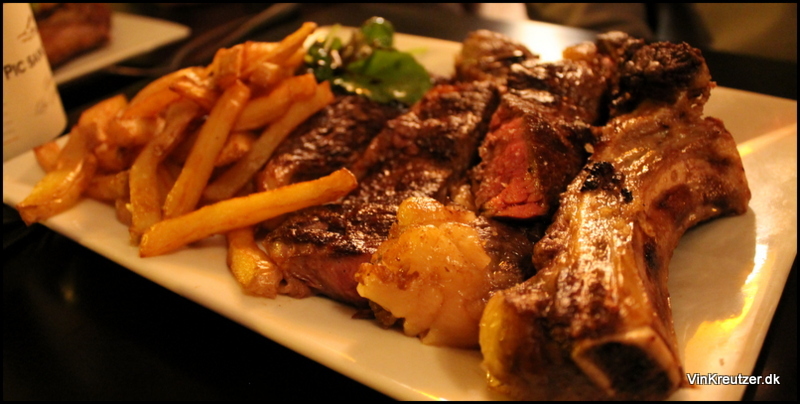 Cote de Beauf – what else? A few fries and some salad, only meant as decoration. A lot of taste in the perfect rosa meat for me. 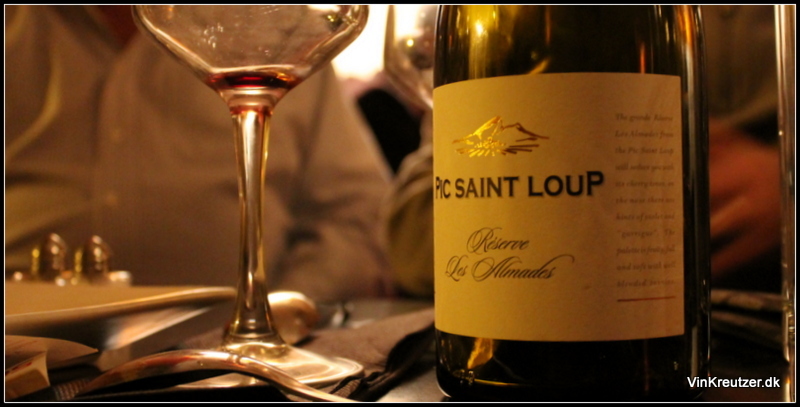 2012 Reserve Las Almades, Pic Saint Loup – a local wine, recommende by the waiter. Was nice and powerfull and matched the meat in the best way. Not the best Pic Saint Loup tried this week. 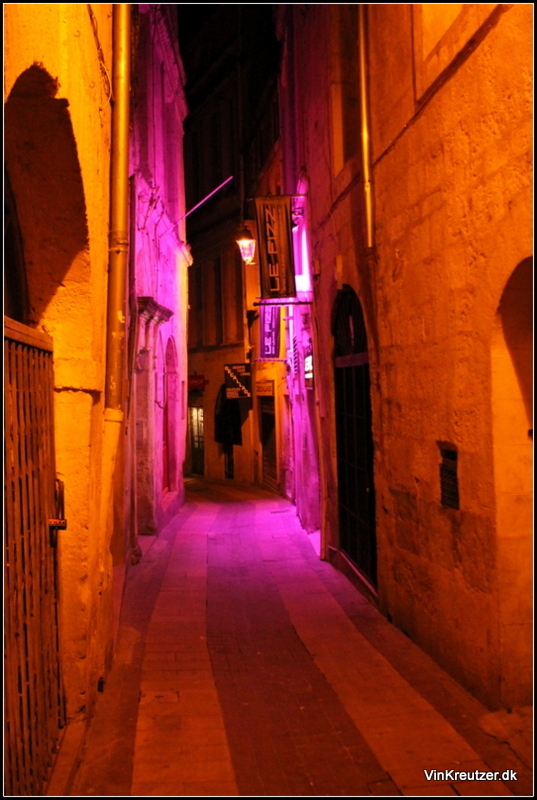 With before dinner drinks, we ended up with a bill on less than 200 Euro, that is why I love dining out, when in France. 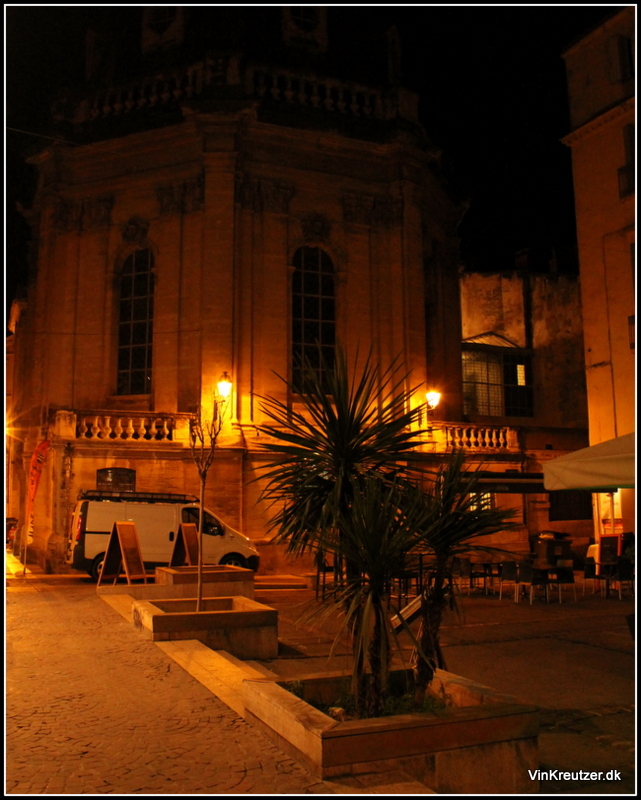 Here is a few pictures from the restaurant, and the city in the evening. 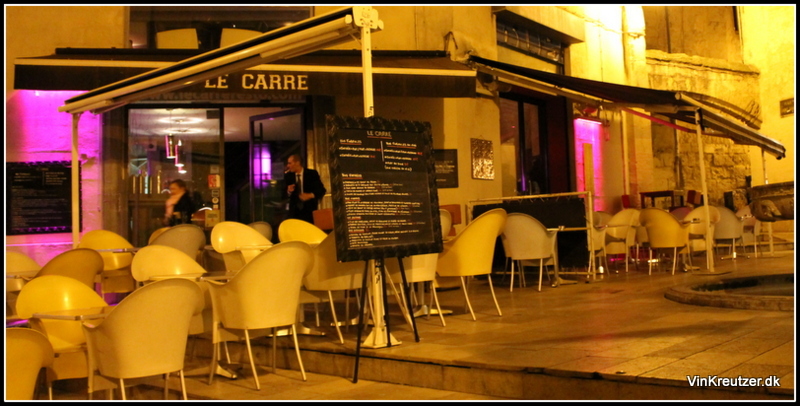 Looks good, I will certainly remember the recommendation for when I am next in Montpellier. You can Ruth, but don’t trust the guiding… I can’t remember where ti was, but it was good. 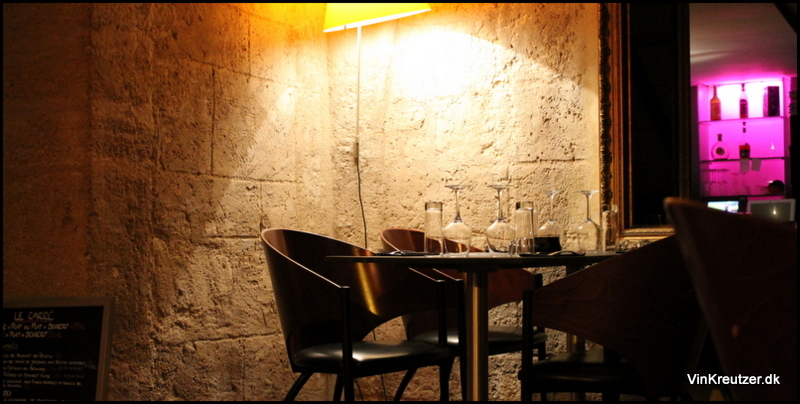 I will look for another nice place tonight, a wine bar everybody is recommending.